FullContact is a really useful service when it comes to keeping a clean, centralized contacts list across multiple accounts. It brought its full service to mobile with a really good iOS app back in January and now Android users can get in on the action. As with the iOS version, you can use the app to be notified when people change email address and other information, and update your records for them easily across all your connected address books. It also helps you enrich contact details with social accounts, job titles and the like, which FullContact finds from tracking sources like Facebook, Twitter and LinkedIn. 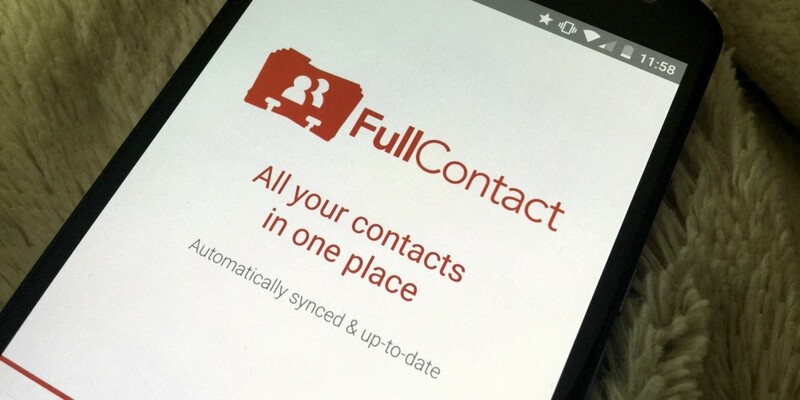 You can use FullContact as your phone’s main address book too. It allows you to call or email right from the app, and see the person you’re about to call’s recent social posts. That might help you understand why they’re not answering calls if they’re at a conference, or you can use it as an icebreaker to reprimand them if they’ve recently told a particularly bad joke (a favourite tactic of mine). One bugbear I have with FullContact’s service is that if it finds a lot of job information for someone, it will give you a long list of their previous and current roles with no context for what is current and what is out of date. For example, my former colleague Matt Brian is listed in my FullContact address book as being a reporter for The Verge, when he’s now very much at Engadget. If I didn’t know Matt that well, I’d think he worked at The Verge, Engadget AND The Next Web simultaneously. Busy man. You can edit this information yourself, but the real value in FullContact is providing context for people you don’t know that well. In most cases it does this well, when it comes to employment histories, not so much. That issue may not affect you if you don’t know many of people who change jobs a lot, but I felt it was worth noting. All things considered, it’s still a smart addition to your phone. The app is free and out now.